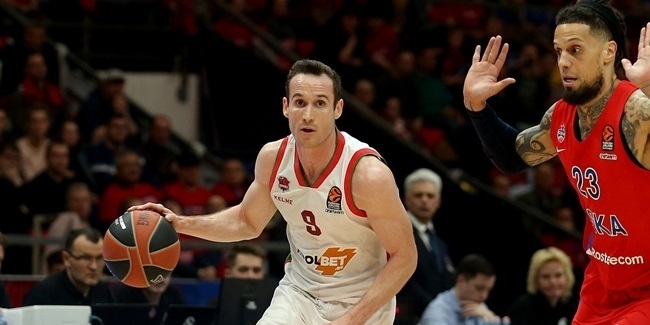 One of the most successful European clubs of the past decade, Greek powerhouse Olympiacos Piraeus is coming off a season in which it came within a victory of the Euroleague title, and returned to the throne at home. Giannis Sfairopoulos was the runner-up in the Coach of the Year voting and now starts his first full season on the sidelines with the Reds. Olympiacos’s three top-scorer from last season, All-Euroleague guard Vassilis Spanoulis, forward Georgios Printezis and swingman Matt Lojeski lead a group of key returnees that includes, Ioannis Papapetrou who showed flashes of brilliance last season and could be the Reds’ next star. Anadolu Efes Istanbul is coming off one of its more successful seasons in recent years, during which coaching dean Dusan Ivkovic got the club back to contending for titles on all fronts. 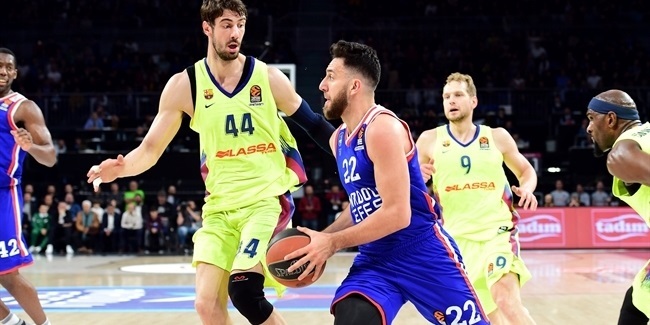 In Cedi Osman, Dario Saric and Furkan Korkmaz, Efes has some of the top young talents in the Euroleague, while playmaker Thomas Heurtel begins his first full season with the club. 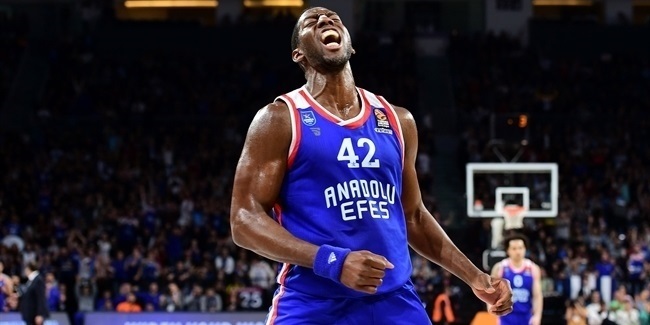 To them Efes has already added 2014-15 Best Defender Bryant Dunston and All-Eurocup First Team forward Derrick Brown, ensuring that Efes will have a seemingly endless choice of weapons this season. Laboral Kutxa Vitoria starts the 2015-16 Turkish Airlines Euroleague with a new head coach, Velimir Perasovic, and ready to live up to its "Baskonia Character" motto. Among the players that remain with the team this season are several who exude that spirit on the court, such as Mike James, Fabien Causeur and Kim Tillie. Laboral’s roster is far from complete, but it’s a forgone conclusion that when it is, the fans will lift the squad to an even higher level to help turn Laboral into a contender once again. EA7 Emporio Armani Milan is looking to bounce back from an up and down season that saw the team eventually miss out on the trophies. Coach Jasmin Repesa is now in charge in the fashion capital and he has star guard Alessandro Gentile as a go-to guy. Milan’s roster is far from complete, but when it is there is no doubt that this proud club will give Repesa the necessary tools to win every night. Croatian League champion Cedevita Zagreb is back to the Euroleague ready to make more noise than ever. No Croatian team has made it to the Top 16 since 2010 and Cedevita will be ready to battle for that. Led by star center Miro Bilan, sharp shooter Fran Pilepic and up-and-coming forward Luka Babic, Cedevita will be a tough opponent with talented players expected to join the team soon. Veljko Mrsic makes his Euroleague head coach debut, in arguably a big challenge for him and this very ambitious team. French League champion Limoges CSP is back for a second consecutive Euroleague season. Limoges already fortified its frontcourt by adding Ali Traore and extending Frejus Zerbo long term. Limoges also landed Mark Payne and Mathieu Wojciechowski, as well as keeping some familiar faces in its roster, such as athletic forward Nobel Bongou-Colo and playmaker Pape-Philippe Amagou. A former Euroleague winner, Limoges wants to become the first French team to reach the Top 16 since 2007.